If you're thinking about adding value to your home, you may be considering selling, a change of scenery, putting it up on the market or even just making your living space a bit more comfortable, updated and modern. But that doesn't mean that to add value to your home you will have to fork out a great amount of money and be worse off financially in the long run. Fixing up parts of the home that you know will be a cause for concern for any prospective buyer is a good start. If you are willing to contribute more financially to set your home apart from the rest, in terms of catching a potential new owner, then there are some more extensive tips and tricks that you can make use of to get your home sold! Here are 7 tips from an expert that will make your home instantly more liveable! Tackling the walls of your both on the exterior side and the interior with a paint brush and a coat of good quality paint can make the world of difference when having your home appraised for sale or for general interest sake. And it's important to consider the size and shape of the house when choosing a paint colour, bearing in mind that you can never go wrong with a subtle flavour, even though your personal preference might just be hot pink. Buyers might just be a tad more conservative than you! This primary maintenance to you a home can be the perfect opportunity to patch up all those cracks that have been catching your eye daily, while at the same time getting the home ready for winter. 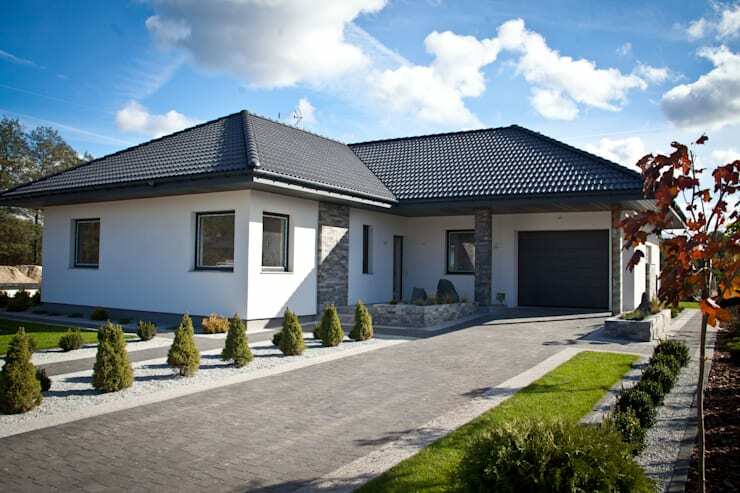 The main idea for doing this type of home spruce up is to make your home appealing to a new potential home owner, who may just have a particular idea in mind of what their home should look like. Consider the possibilities of extending the floor space already available to you. Modern buyers prefer a more open plan approach to living, so if your kitchen, dining room and living room are all separated by walls, it may be time to open up that space and let it look like one. Alternatively, if you have an unused basement or attic that is just collecting all the broken old junk in your home, you might consider doing an upgrade and converting the under-utilised space to another bedroom, games room or how about a media room! Create that cinema style experience at home, now that will attract buyers! Adding in some extra closet or clever storage space will also be a great help, it shows that the seller cares about the function of the house and that no part has been unused or forgotten. Think about the endless possibilities that will come from just using a little imagination! A kitchen is the heart and soul of any home, it's where memories are made, laughter is enjoyed and good food is elegantly cooked. So adding some extra pizazz your kitchen in terms of value is a great idea! While you're at add in some gourmet elements too! The kitchen should have more than enough space to work, cook and be enjoyed. So it is important to first have a look at the space available to you, then consider what can be added. Possibly a kitchen island that doubles up as a countertop or breakfast bar? Then ensure that there is adequate space for appliances, a double door fridge for example is a staple in any modern home, so consider including that in the design layout, or perhaps some clever storage spaces for the kitchen with limited space? Neutral kitchen colours ensure timeless elegance and a sense of a wholesome modern home. 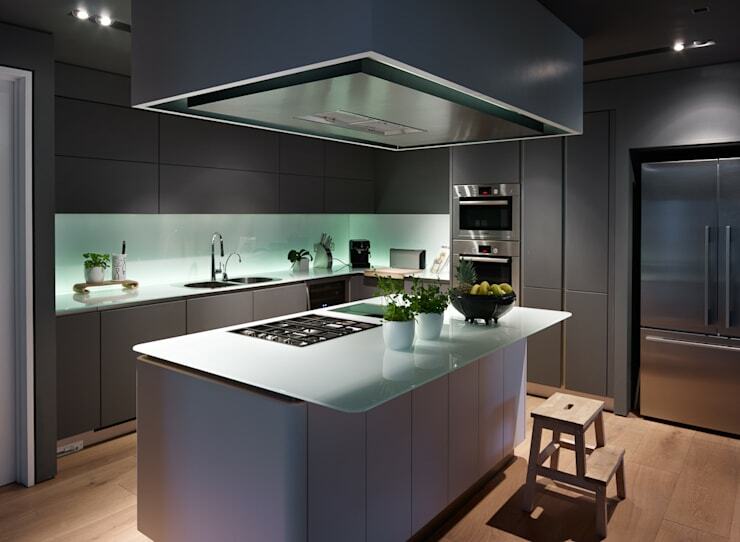 For great kitchen ideas from the team at 3S Architects & Designers look them up, here. 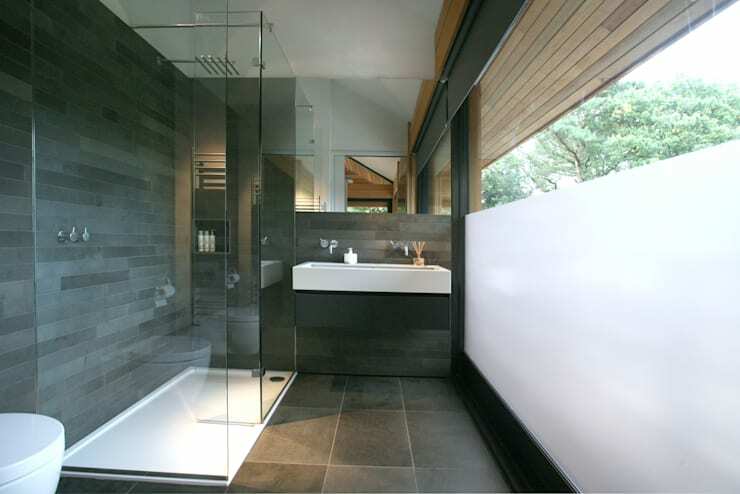 A stunning bathroom even if just has the modern basics will instantly make any home appealing. So consider this revamp when looking at ways to add value to your home. If your bathroom tiles are still in a good condition and your ceramics are still usable, then a simple change to the faucets, shower fixture and lighting can make the world of difference to this space. However, if you have already noticed that your bathroom needs more than just a face lift, than perhaps consider doing a complete overhaul. Making the bathroom exude serenity and calm through neutral tones, modern tiles, mosaic shower cubicle and even replacing the old shower door with something more simple, sleek and modern. Add a large mirror that reflects light and you have a seemingly bigger bathroom too! For more bathroom inspiration from homify, you can: Soak Up These Fancy Bathroom Ideas. A garden may just be the deciding factor to a prospective home buyer especially if children are in the equation. Everyone needs a safe place for the kids to go about playing outside without having to worry about criminality or the danger that may lurk outside. So why not consider making that drab exterior space just a little more fabulous with some simple yet easy to plan ideas… you might want to add something for the adults while you at it too! A garden can be so much more than a place to plant flowers and tend to vegetables, a garden can be a relaxing escape from the busy concrete jungle and enjoy the finer things in life… family and friends. The garden can be a perfect social and entertainment space too, so why not add a decent built in BBQ section with eating area while you at it? Doesn't that recliner and grass look so inviting and comforting? 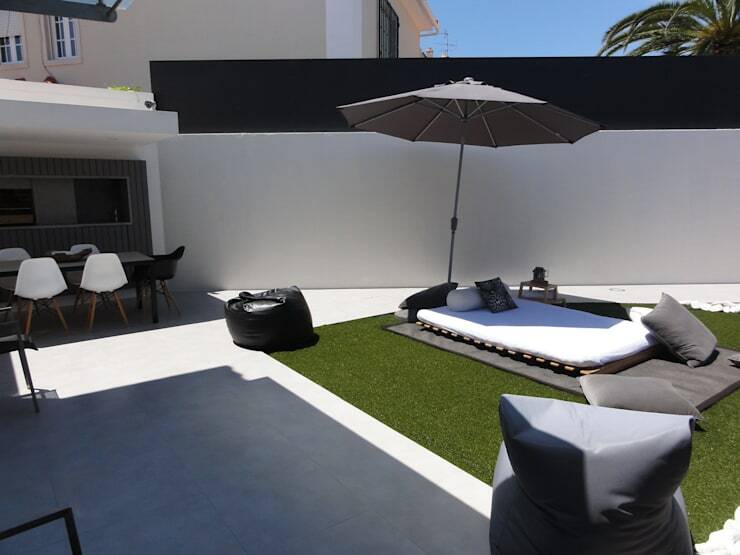 This simply designed garden space using neutral tones is absolutely perfect! The living room is a perfect escape to just read, enjoy company, flip through TV channels on a lazy Saturday morning or even just enjoy for the quality and taste that it exudes. Once again neutral tones are key here as well as essential planning of the space. The placement of the TV in almost a frame will ensure that is may be a focal point of the room too, while the fantastic horizontal fireplace is a total work of art that complements the tone and style of the living room in every way. The abundance of scatter pillows, large comfortable sofa and fluffy rug are all elements of a relaxing living room space, while the rectangular coffee table displays an idea of company being welcome. It's all about creating and selling an idea and possibilities to prospective buyers. The house of the future obviously needs to take into consideration the use of solar panels to be more energy efficient. So perhaps look at the possibility of adding this function to your home and save on electricity bills while also being a bit more environmentally friendly! 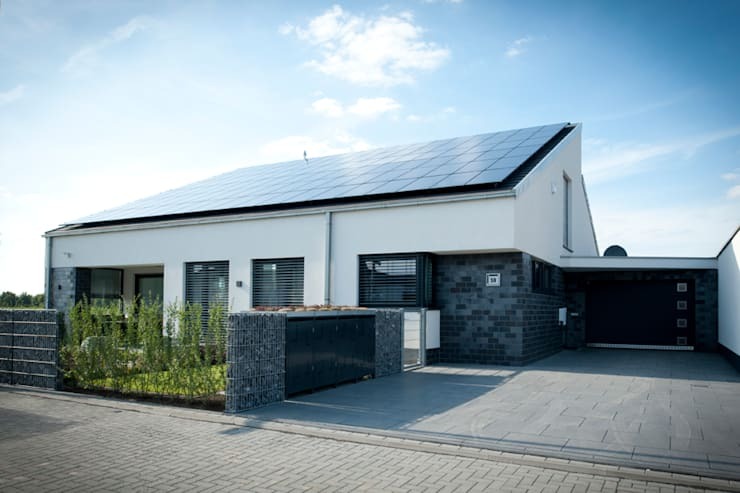 With the rising cost of electricity, adding solar panels to your home will certainly allow it to be a selling point for prospective buyers to consider, no one wants to fork out tonnes of funds for electricity when their home has an alternative, such as this. Even though the addition of solar panels may cost a pretty penny for installation, the pay off is fantastic in the long-term and can result in a huge reduction of the monthly budget if done correctly. While acting on energy efficiency, it might be a good idea to consider lights that switch on only while someone is in the room, this is a good idea especially if you often forget to switch off lights if you leave a room. For more information, you can learn: Why You Should Be Using Solar Panels At Home. Do you have any other great value adding tips to share? We'd love to hear about them!